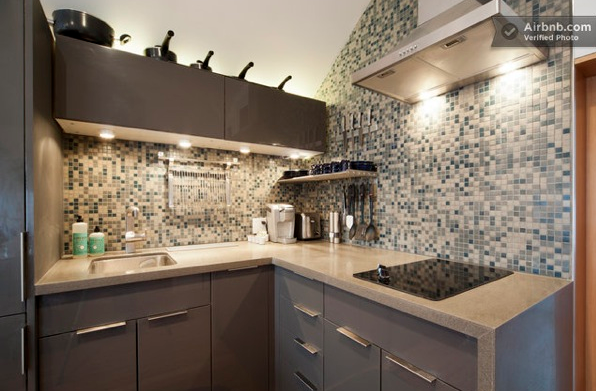 This Apartment Is Too Small: No counters = the new kitchen fad? 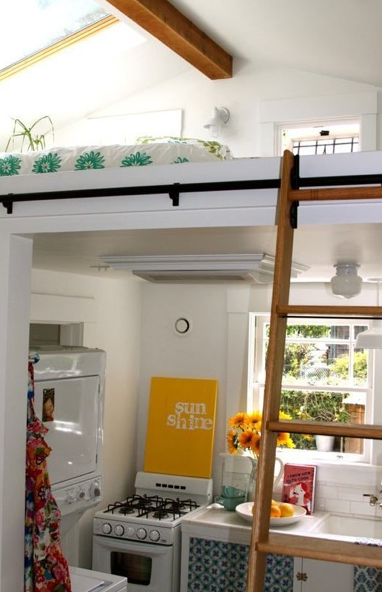 The lucky peeps who have vertical space, I love a rolling ladder which is helpful for keeping things out of reach but accessible. 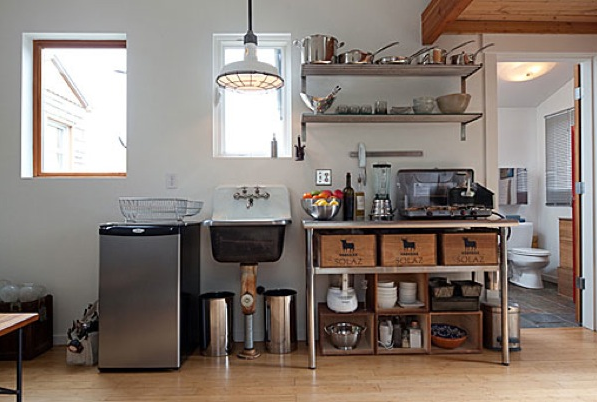 This mini fridge is an obvious space saver, but I love the look of the baskets (crates?) under the counter. I don't think this is used as the full, regular kitchen, I think this is just a studio space that is used during the day so they don't have an oven and don't need a real fridge/freezer. 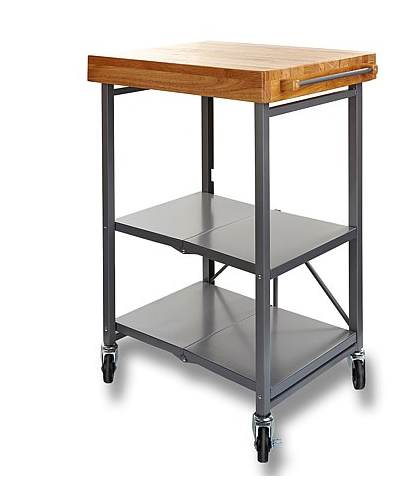 And my ultimate recommendation for a kitchen space saver is a rolling cart. It has SO MANY purposes and can be wheeled around as needed. Hopefully there is a little space in the kitchen where this can live while not in use, otherwise it is a space killer rather than saver. However, we looked at some real-grown-up-people-who-don't-taste-wine-and-make-jokes-all-day houses a few weeks ago and one of them had an adorable modern kitchen that I wanted to cook in immediately - it wasn't huge, but they had an "island" in the middle which seemed odd for the small space... until the realtor pointed out that it was on wheels and it was a game changer.